Skills will change the way you practice, evaluate and compete. With instant feedback on every target and every shot, game improvement has never been this precise. 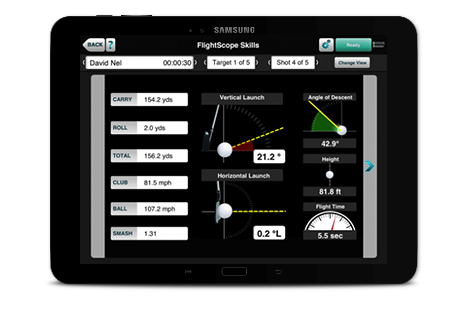 The FlightScope Combines have been designed to be the ultimate test of a golfer's skill levels.Designed to test the golfer over distances ranging from a 20 yard chip shot up to a 260 yard drive. This test should only be attempted by players interested in comparing themselves with the best. The Skills app provides you with the ability to build customized challenges. 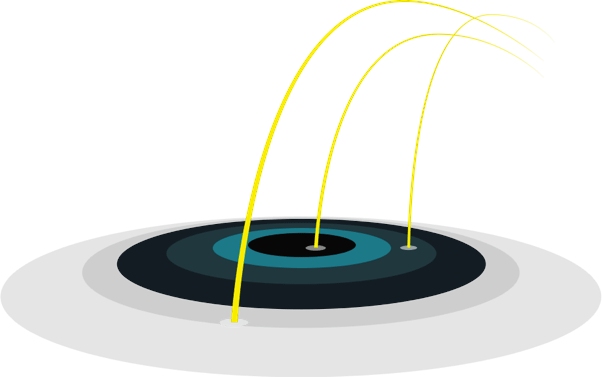 You design the size of the target, the distance you want to hit and how many points each target is worth. Finally when you have completed your challenge, you can compare your results with other players and PGA Tour Players. Use Skills for precise game improvement, student benchmarking, or even a friendly competition with your friends. From the time you take your swing until your golf ball lands, Skills will track your club and ball data in real-time. 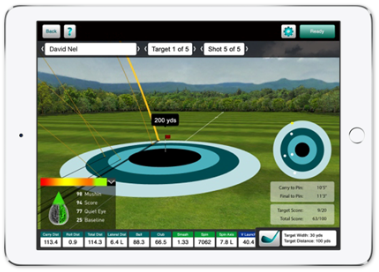 With the Skills app you have access to different club and ball data parameters. You can toggle back-and-forth between shots to quickly compare data of these shots. Model your challenge after a specific course, or create standardized tests to benchmark your students. 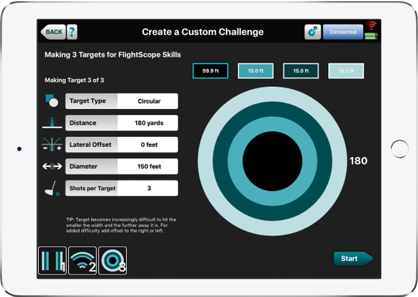 Customize the dimensions, distance, number of shots, scoring zones and lateral offset for each target.